A fire that damaged a Sydney, N.S., funeral home over the weekend has been deemed suspicious by investigators. 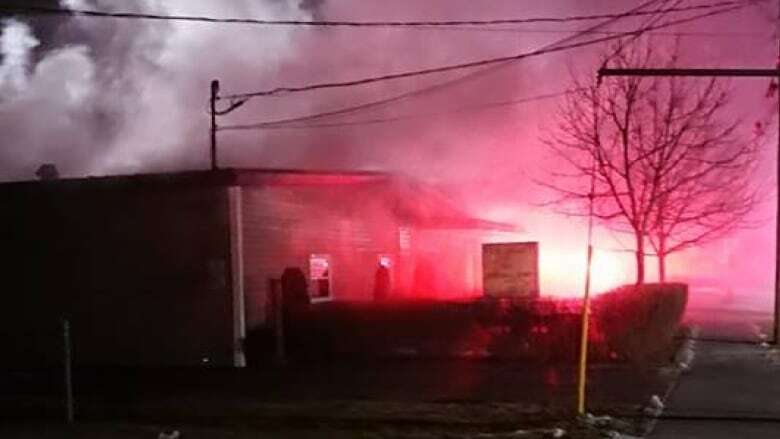 A fire that damaged a Sydney, N.S., funeral home has been deemed suspicious by investigators with the fire marshal's office and the Cape Breton Regional Police. The case has been turned over to an arson investigator, police said in a release on Monday. Chant's Funeral Home on Alexandra Street was damaged after the blaze broke out around 8 p.m. Saturday. No one was in the building at the time and no injuries were reported, police said. Jill Nemis, managing funeral director, told CBC News that no bodies or ashes were in the building, either. The funeral home recently faced other challenges, related to its business operations. In June, the provincial government prohibited the business from selling pre-arranged funerals in trust for six months. Service Nova Scotia had determined Chant's was not placing the money for pre-arranged funerals in trust, as required by law. A spokesperson for Service Nova Scotia confirmed Monday there will be a hearing into the handling of funds for pre-arranged funerals and the selling and renting of caskets. Service Nova Scotia said in December there were 49 cases, valued at $168,000, where money received by Chant's Funeral Home was not placed in trust. The home then provided the money to the province, which put it in trust. As of mid-December, $157,000 had either been refunded or had been used by the individual to buy insurance to cover their funeral costs. Service Nova Scotia said it was holding the remaining $11K in trust and was working with the remaining purchasers to either refund their money or use it to buy insurance.